Eibhlin Lim is a journalist and writer who left formal education for a while and ended up publishing a book. Her book, The Phoenix Perspective, includes interviews with nine entrepreneurs to uncover their secrets to overcoming challenges and setbacks such as homelessness, illiteracy and bankruptcy. How many of us would give up our comfortable lives to delve into the unknown? Many of us would rather stay in our comfort zones and do what we are familiar with, and follow the paths society has laid out for us. 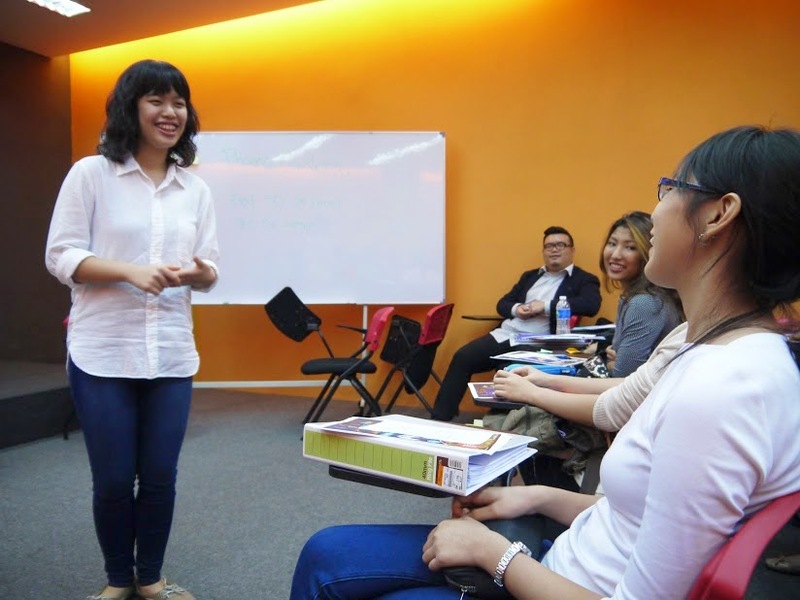 However, a Malaysian named Eibhlin Lim decided that she wanted a break from formal education when she was just 18, to build a digital journalism workshop for disadvantaged youths. “When I made this decision, most of my friends and extended family members thought I was crazy—I had just completed my IGCSE examinations and scored the highest number of straight A*s in my year group,” she said. 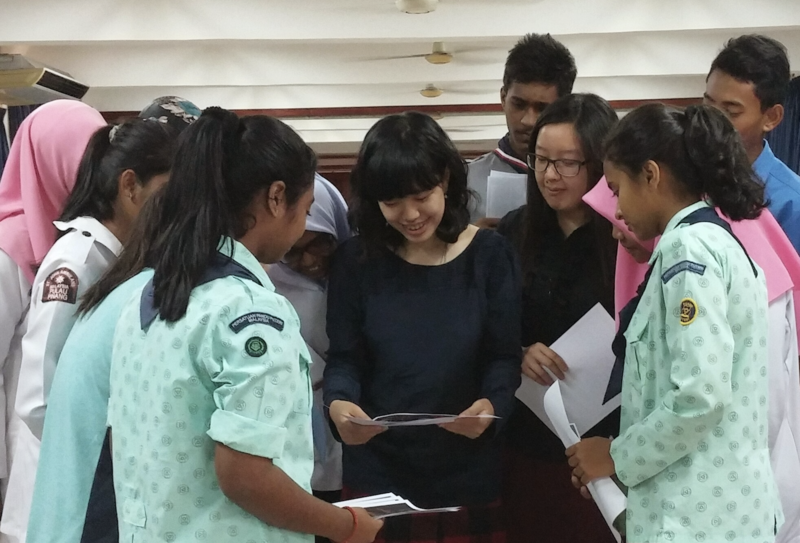 “I also had a scholarship offer to pursue my A-Levels at an international school in Penang. That said, I ignored them, gave up my scholarship and started the workshop,” Eibhlin added. She ran her digital journalism workshop in two orphanages in Selangor and they were a success. With that she received international recognition and was selected as the very first and only Malaysian to attend Watson University, a social entrepreneur accelerator in the US under a full scholarship. As a Watson Scholar, she had the opportunity to meet many incredible individuals such as, Hunter Lovins, TIME Magazine’s Hero of the Planet, Phil McKinney, the former Chief Technology Officer (CTO) at Hewlett-Packard, and many more. “I remember feeling incredibly star-struck when I first met them—I had Googled them prior to our meeting but I still did not know what to talk to them about. I was just overwhelmed by all their amazing achievements and fancy titles. However, when I spent some time with them and got to learn more about them, I realised that most of them came from very humble backgrounds and had normal upbringings like us,” she said. Although she was inspired by what she had learned, she didn’t think much about putting those experiences down on paper. Then came a low point. She returned to Malaysia, wanted to go back to school but could not do so for a while. Disheartened, she turned to her laptop and started writing about her experiences in the US. “These were the better times that I wanted to relive. I started a blog and posted my writings on them. I shared the links with a few family and friends,” she said. Things started to take off from there and more people were reading about it. 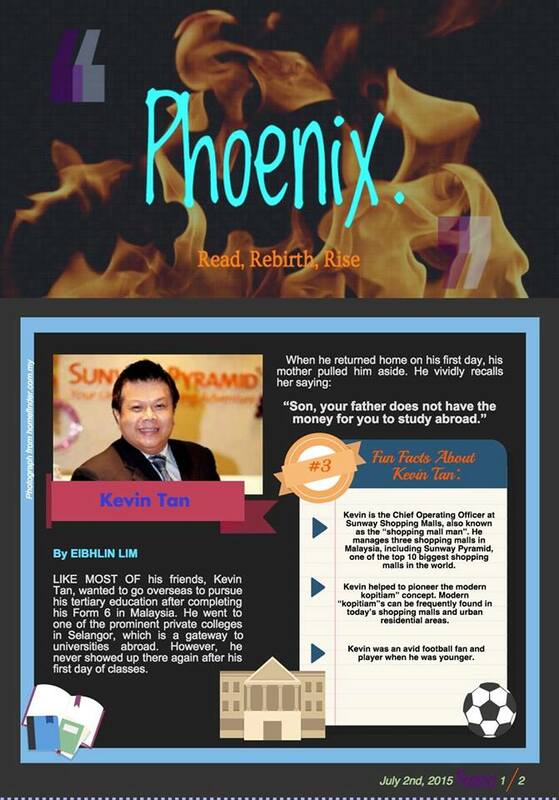 The blog eventually became Phoenix Newsletters, an online newsletter with life stories of successful individuals from different industries, the challenges they faced and how they overcame them. Directed at students, Eibhlin made her newsletters and the entrepreneurs featured accessible and interesting. Students in turn found her newsletters more inspiring and relatable than the news about companies or business stock performances, more common in traditional mass media. She eventually managed to reach a following of more than 7,000 high school and university student subscribers from around Malaysia. Because of the popularity of the newsletters, Eibhlin received a book deal from a publisher who had previously published Jack Ma’s, Robert Kuok’s and Li Ka Shing’s biographies. “I was really excited to have the opportunity to work with them and was looking forward to finally being able to share my interviews with more youths, especially urban poor and rural students without Internet access, who had been getting their teachers and friends to print out the newsletters for them,” she said. Unfortunately things didn’t work out then, as it turns out that the author buy-back price per book from the publisher was too high. But that ignited the flame in her to actually get a book out. She had a tough time trying to bring her book to life as she had to assemble the right team for the job. “I did not have many contacts in the industry and could not afford to pay much. But I kept asking around and sharing my dream with almost everyone I met and I am very thankful that my editors, designer and printer for this book said yes and came onboard to help bring this book to reality,” she explained. Phoenixes are mythical creatures that rise from the flames of their ashes. After a fire and a struggle, they rise. This was how Eibhlin got her inspiration to name her book “The Phoenix Perspective”. “While others see their flaws and failures as obstacles that prevent them from achieving their goals, these individuals see these negativities as their opportunities instead. These individuals did not allow the vicissitudes of life from stopping them in accomplishing their dreams. These individuals had the Phoenix Perspective,” Eibhlin said. 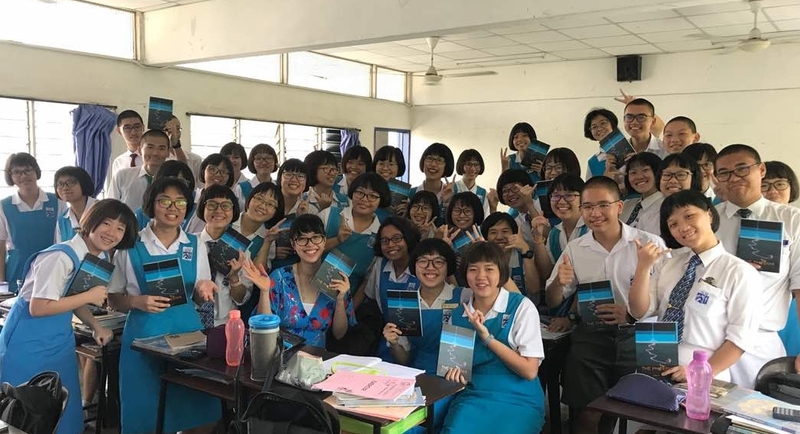 At the tender age of 23, Eibhlin has so far brought the books to more than 700 high school and university students in Malaysia and around the globe in around 2 months. She is also working with industry leaders and companies to help subsidise the book for local high schools students so that they can purchase it at only RM5 per copy. As she looks back at her decision to forge her own path, although she struggled to get back into formal education because of her break, she believes we should go out and pursue our ideas and passions when we are young because we generally have fewer responsibilities now. If you would like to know more about Eibhlin and the Phoenix Perspective, click here.